Airborne is a google earth movie from Esther Polak and Ivar van Bekkum. 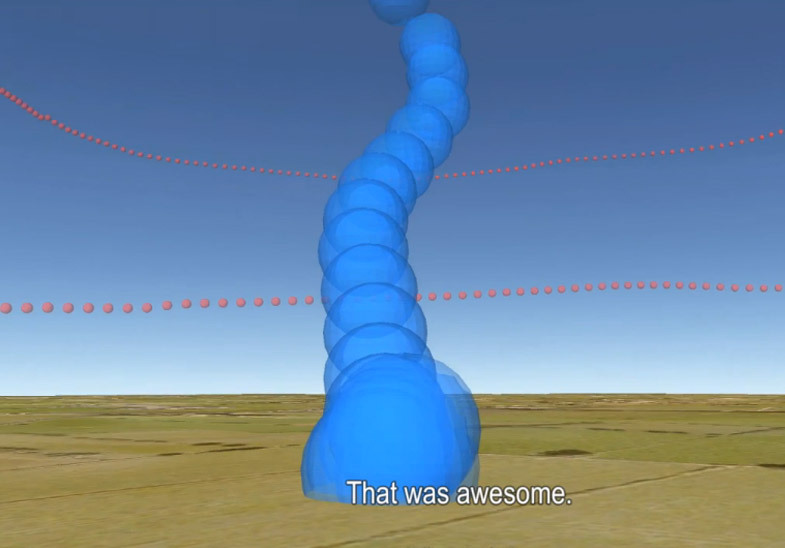 They tracked the experience of the first jump from a plane with a GPS, mixing the original audio recording with the virtual camera on Google Earth. Esther Polak was one of the first artists who started to make very interesting artworks using tracking and tagging resources like “Amsterdam Real Time” and “Milk Project”.